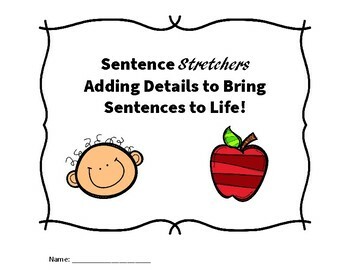 This packet is designed to give students practice with adding details to their sentences. As narrative writers, we create a picture in the minds of our readers. 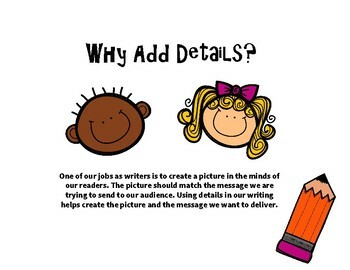 Adding details about the setting, adjectives about characters and adverbs about the actions in our narratives help form a vivid picture for readers. 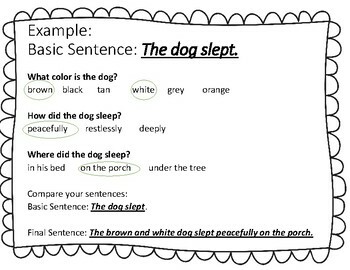 A sample sentence is provided. 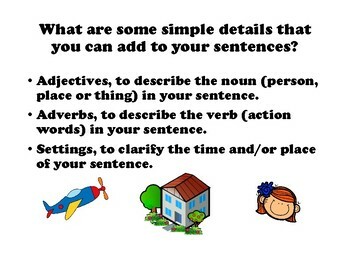 Students then work towards forming their own detailed sentences from simple sentences provided.